The joy and happiness that the festival of navratri brings with it can never be measured! Getting a chance to show your traditional Garba dance moves in pandaals, dressing up in exquisite traditional outfits for the pooja and trying out new Indian delicacies every day, you get to experience so many things during the 9 days of the navratri. I am not a big fan of going out during such festivals, but I really enjoy dolling up for them! 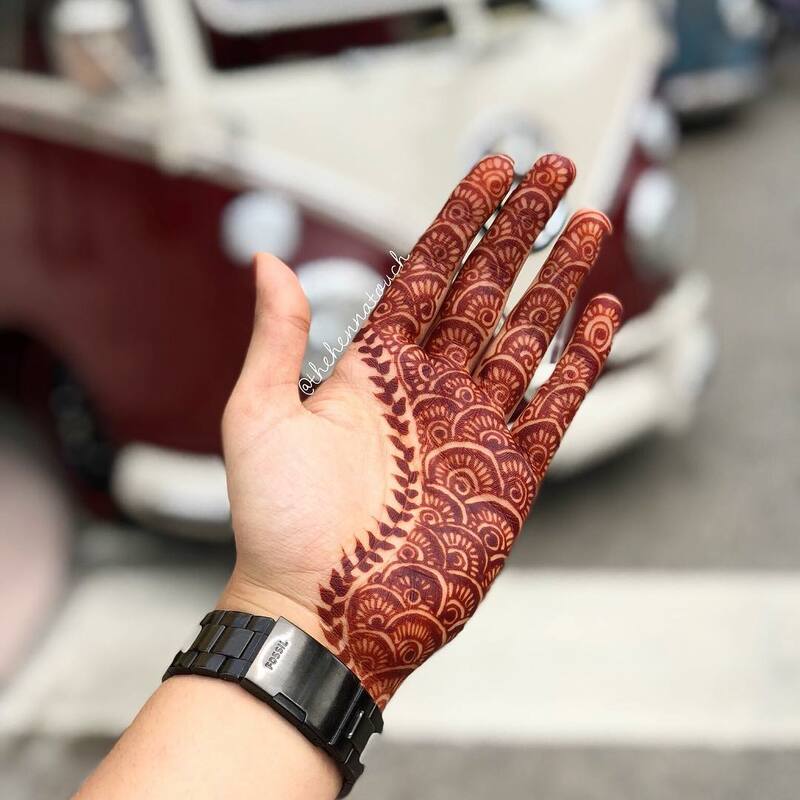 And while we are talking about dolling up for this festival of navtratri/durga pooja/pujo/garba – whatever you call it in your state, how can we forget about mehndi? 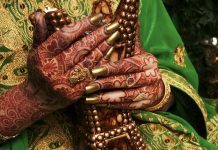 Well, mehndi is an integral part of our desi culture and it always will be one. You can take an Indian woman out of India, but you can never take her love for mehndi out of her! 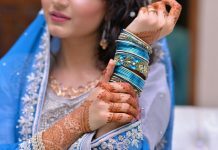 So if you have not decided if you want to get mehndi for navratri done this year on your hands or which kind of design should you go for, this post with best and latest mehndi designs for navratri 2018 is going to help you out! 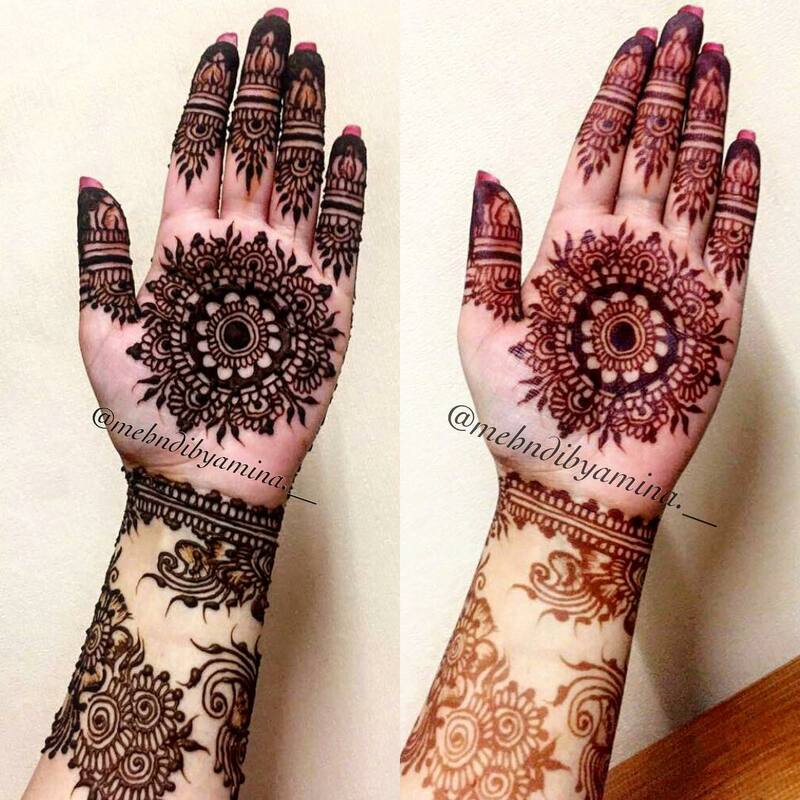 Check out all the mehndi design photos and inspirations for this festive season below! 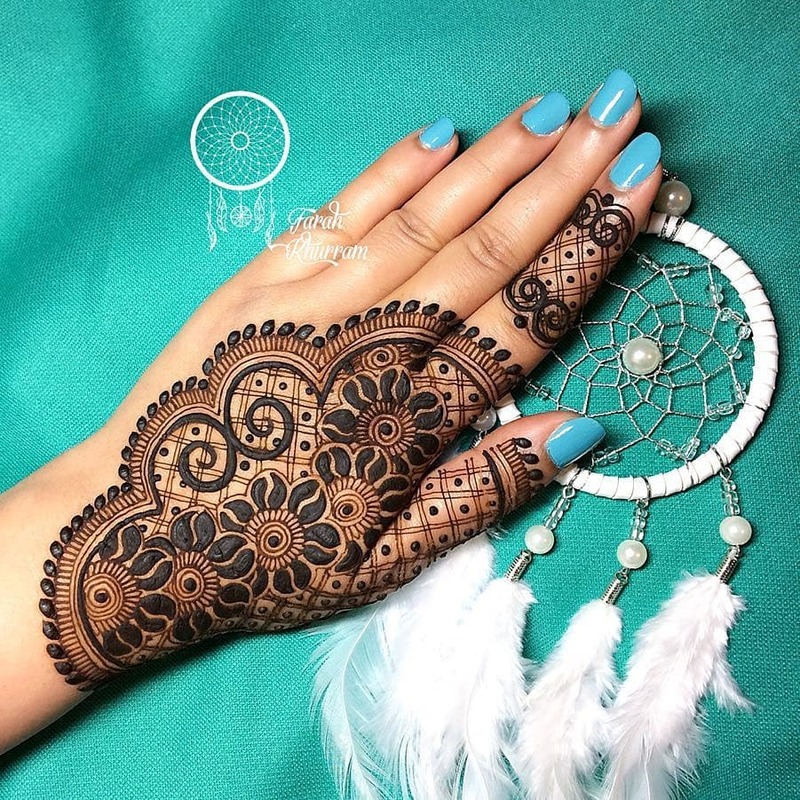 This mehndi design by Kinjal mehndi art has kind of modern vibes. If you are wearing an indowestern outfit for the upcoming festivals, this design would go perfectly well with it! 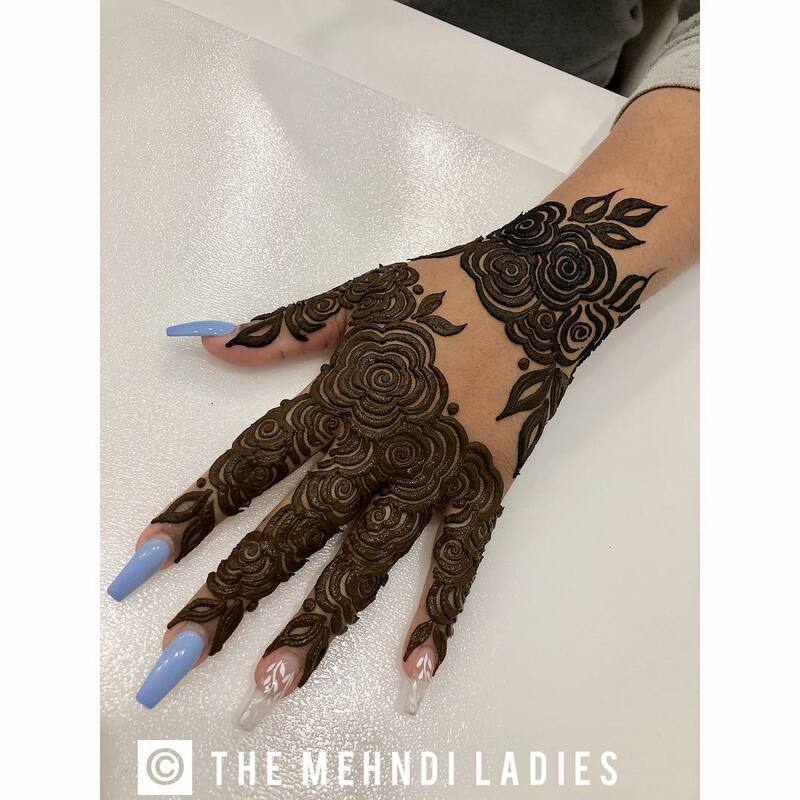 Palm mehendi designs are not that common anymore because most women prefer to get back mehndi designs done so that they can show them off in their pictures better! 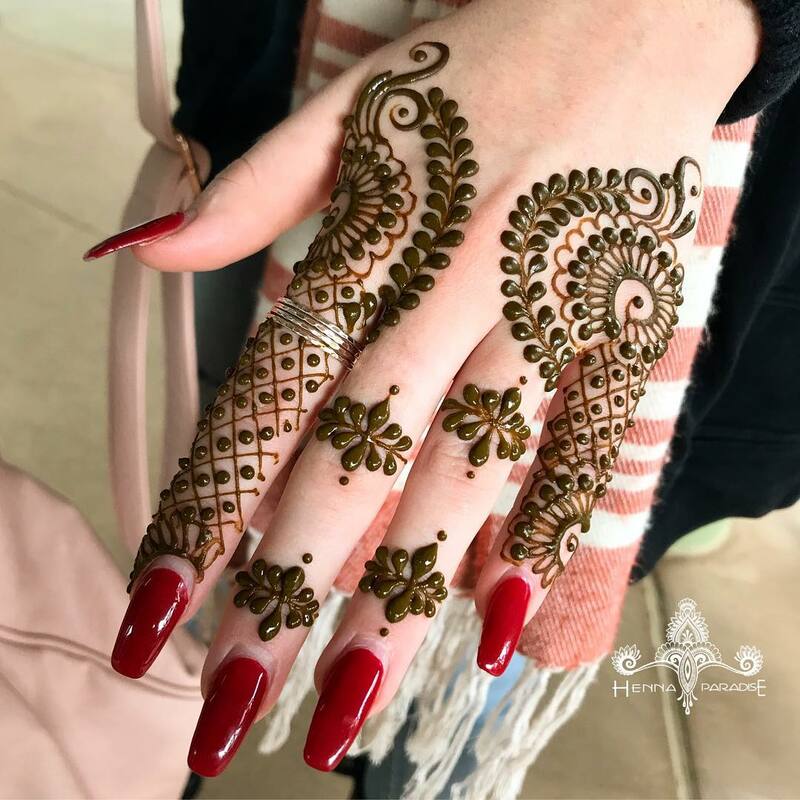 But mehndi designs are traditionally done on the palms, so if you want an inspiration for a palm mehendi design with intricate patterns, this is a very beautiful one! 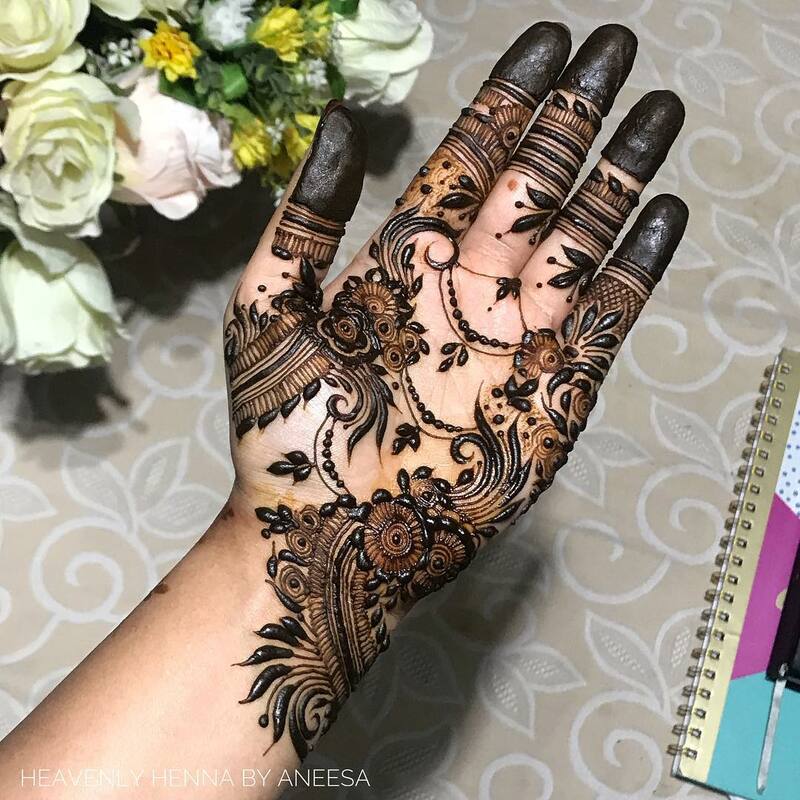 Could not keep myself from sharing one more intricate palm mehandi design with floral and leafy elements. It has a mix of fresh and mature stain, that’s why it is looking shaded. 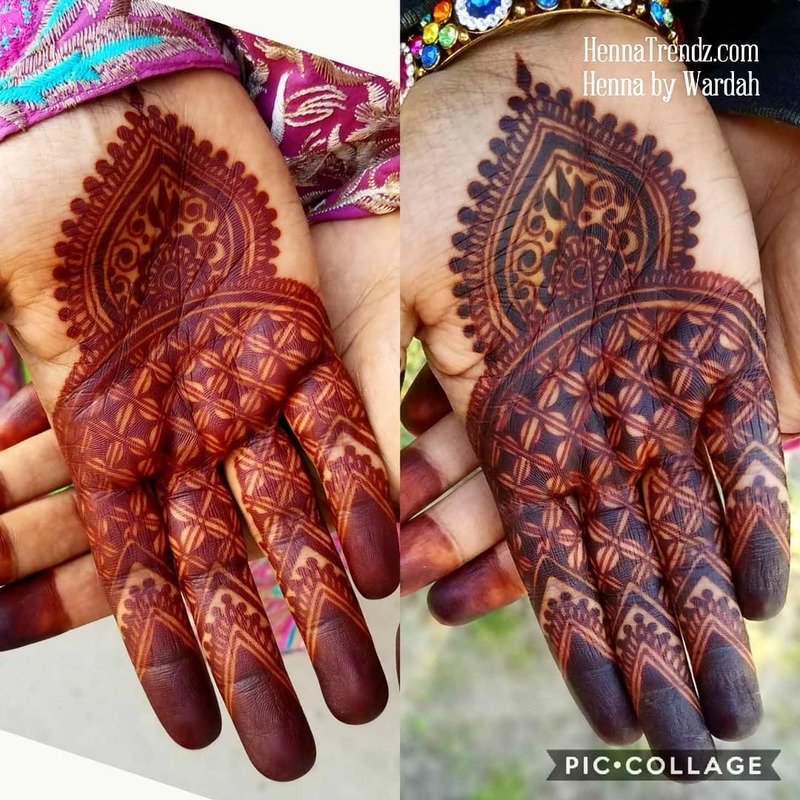 You can try this technique if you like shaded mehandi design! Just draw only half of your mehndi design, let it stain and then apply the rest of your mehndi design, it will have two different shades! Another very simple yet traditional mehndi design for navratri. Although it only has a single pattern all over it, it is still looking so stunning, especially since the mehndi stain is so dark! 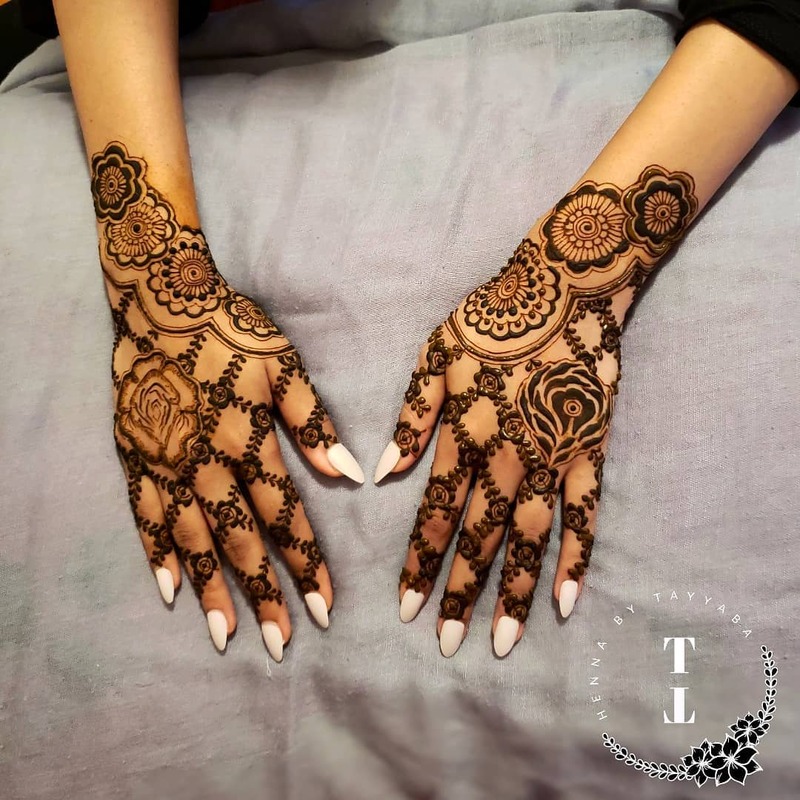 This is not exactly a mahal or taj mahal mehndi design, but it has those patterns that mimic the silhouette of ancient Indian castles’ roofs. 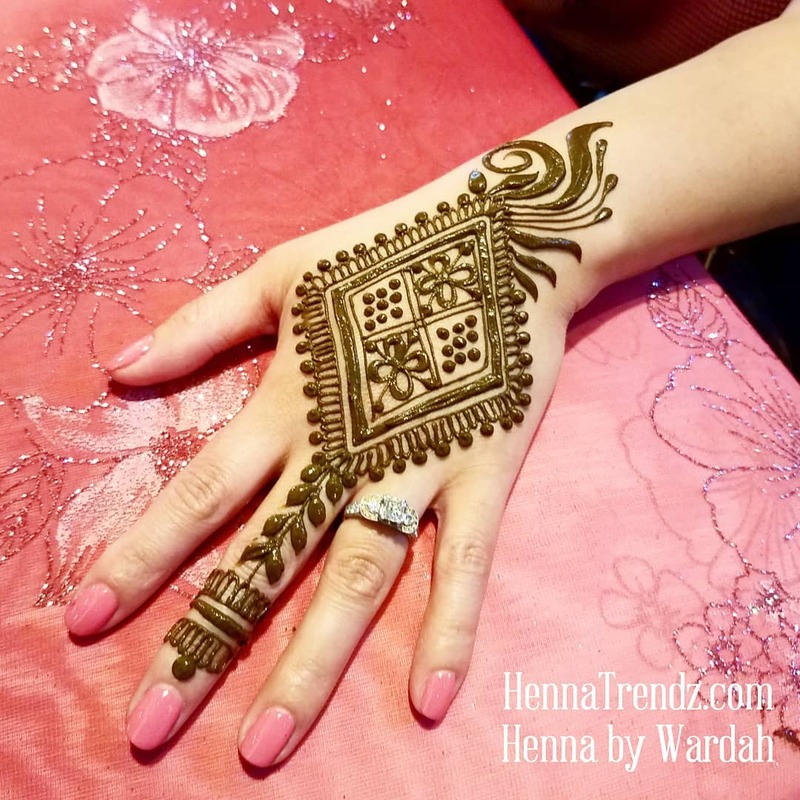 This mehndi design is quite easy for a beginner to draw. 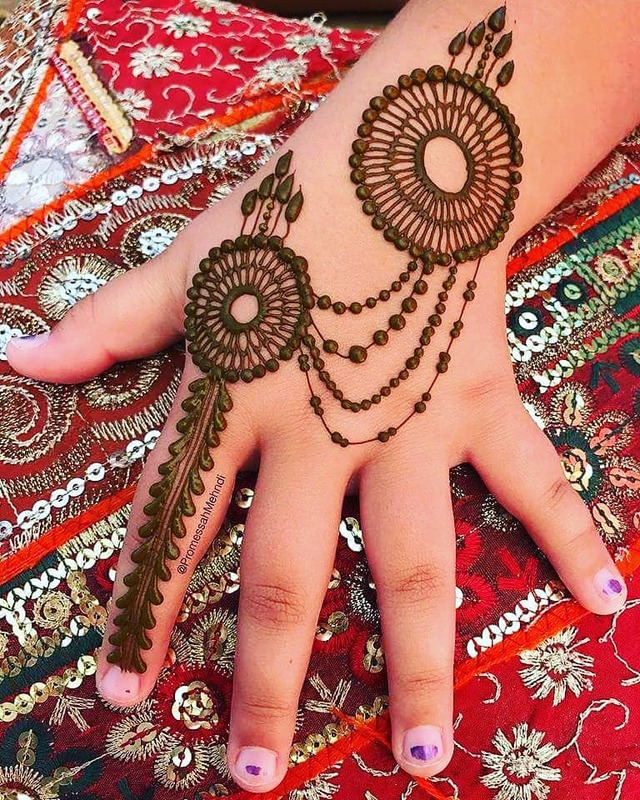 All you need to do is make different sized dots with a mehndi cone. 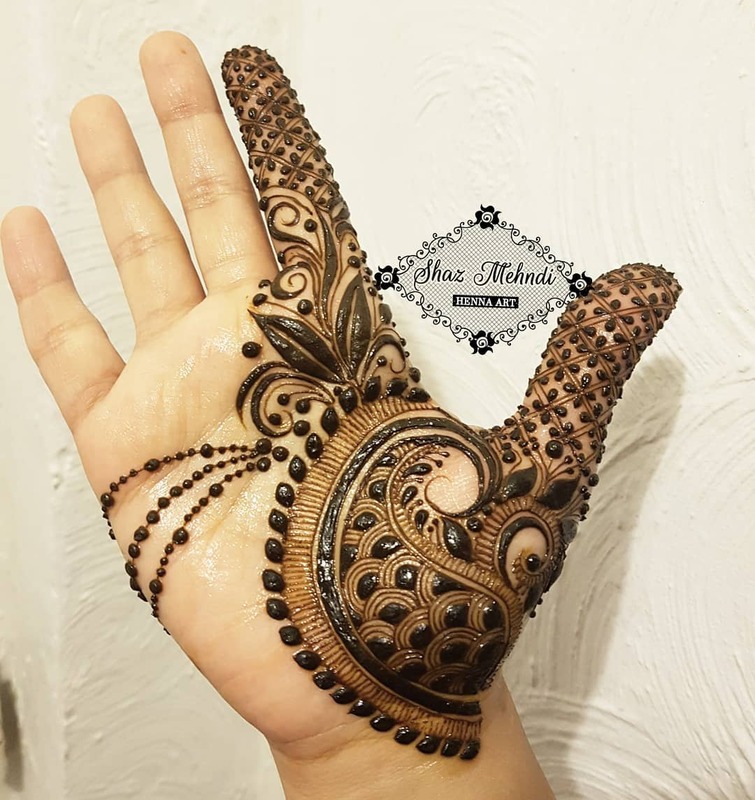 Drawing out the leaves and floral patterns from this design is very easy too, you can follow any YouTube tutorial to learn how to make such mehndi patterns flawlessly! I will include some tutorials below. 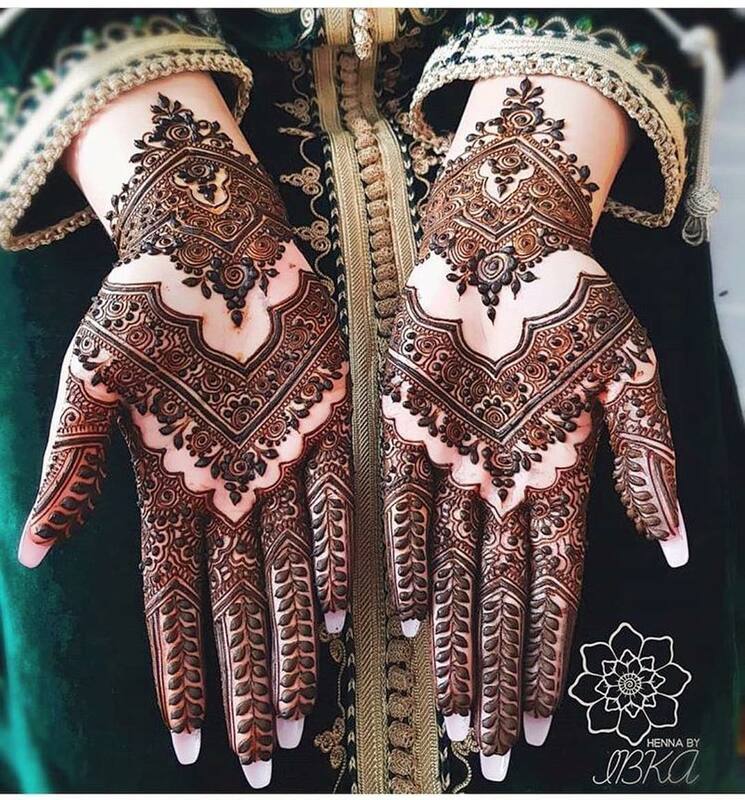 Gorgeous is the only word which is coming in my mind after seeing this bold mehndi design with rose patterns! This bold and beautiful design can be done on just any random occasion, be it the upcoming festival season or your bestie’s wedding! It is just too stunning to not try! 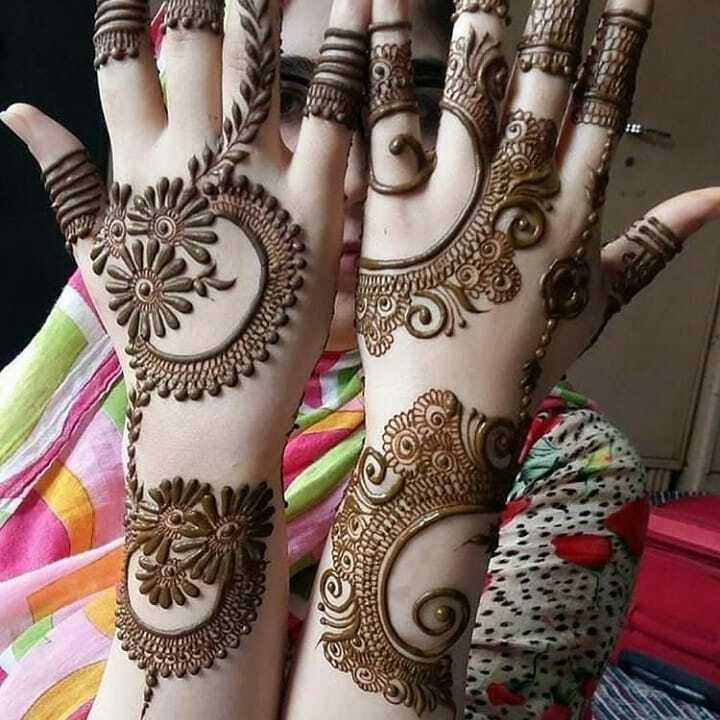 Keep on scrolling for more latest mehndi designs for durga puja. 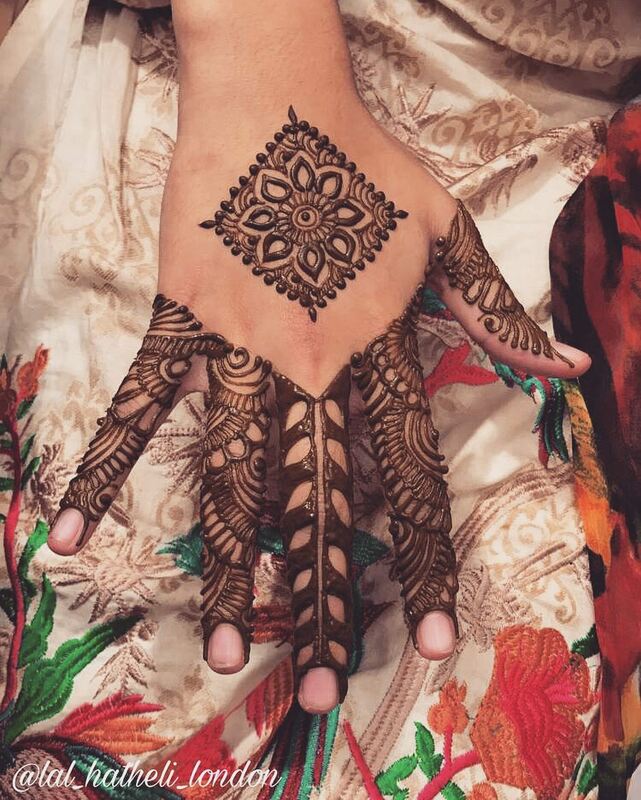 Half mehndi designs are a thing right now! 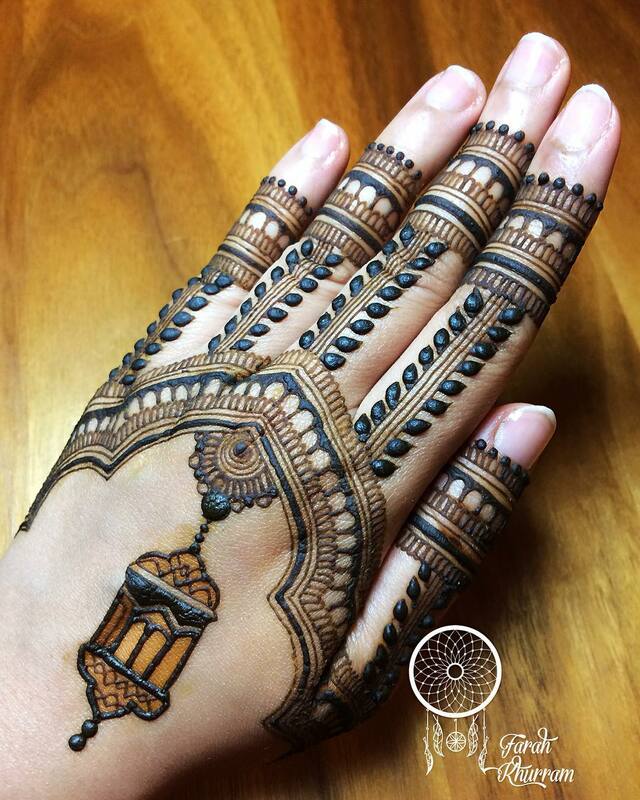 This particular one would look just amazing as a garba mehndi design. It is ethnic, yet, it has some modern vibes in it. Its peacock pattern is taking all the lime light! A mehndi design with so many different elements that make it unique! This design will go on the whole of your palms with chain patterns in the middle. You can also do this design with Chinese black henna that gives a stain in just 10 minutes. 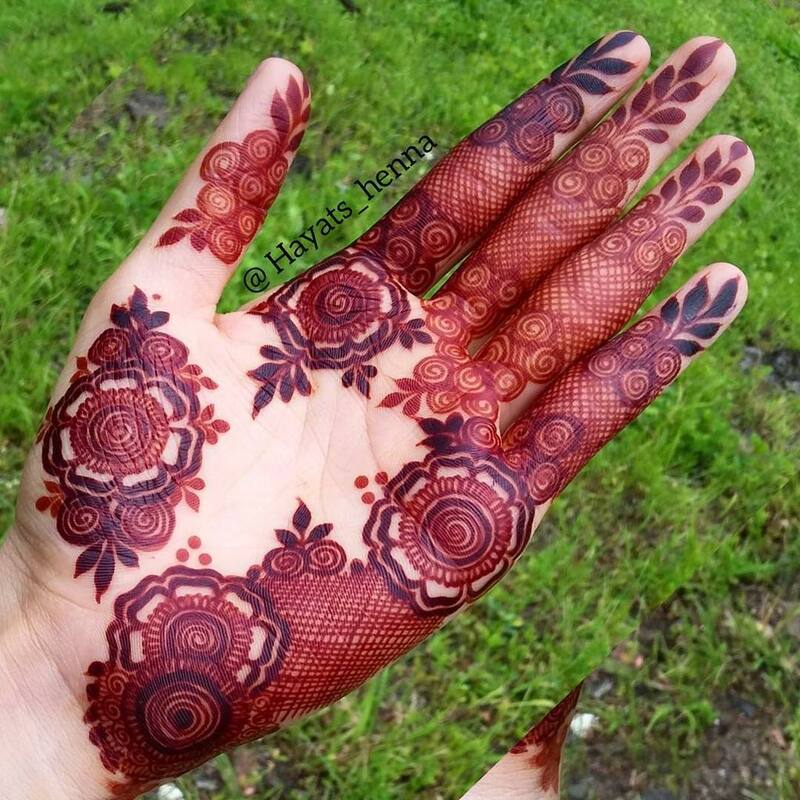 This floral mehandi design with bels would especially look great on the back of the hands! It is simply pretty! Geometrical designs are very easy for beginners. This one has a geometric diamond shape and beautiful elements of leaves and flowers in it. 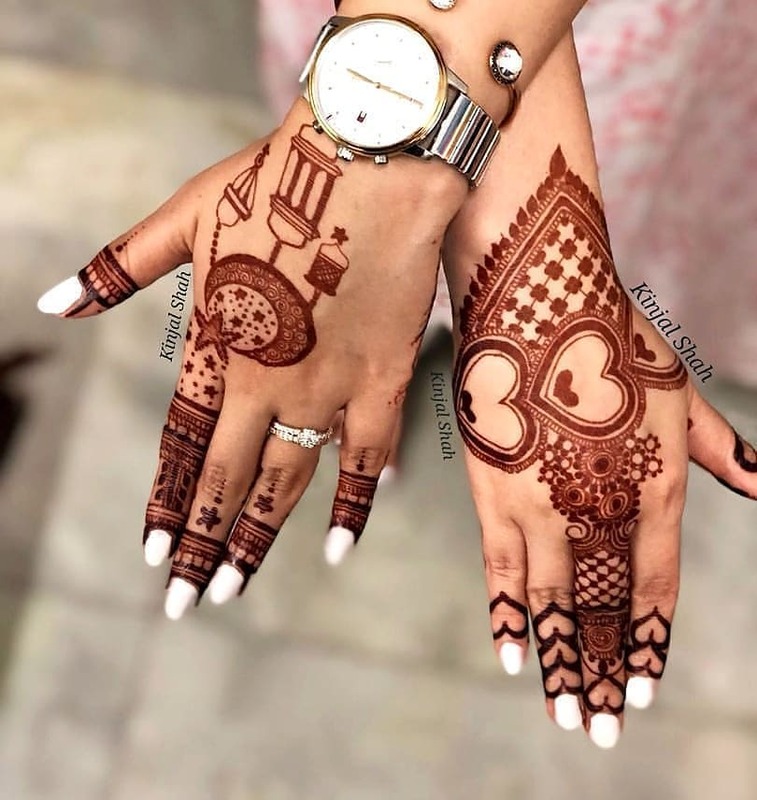 Hand jewelry mehndi designs are perfect for garba since you cannot really wear heavy hand jewelry while you are showing your best garba moves on the floor! So this is how you can fake the look of hand jewelry and make your hands look fab! 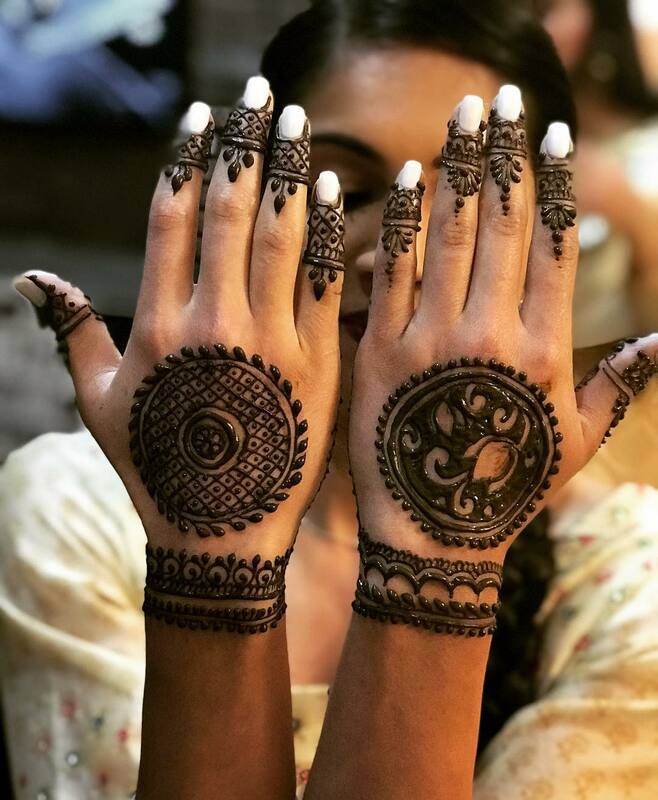 Still haven’t found the perfect mehndi designs for navratri 2018 that you are looking for? Here are some more photos and inspirations just for you! That’s all for now! I hope all you women liked these 15+ mehndi designs for the upcoming festivals of navratri and garba. 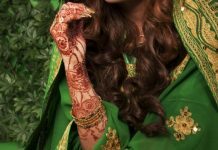 If you liked this post, you may also like my other posts in mehndi category. Do check them out as well! Wishing you all a very happy and blissful festive season from me and my family!